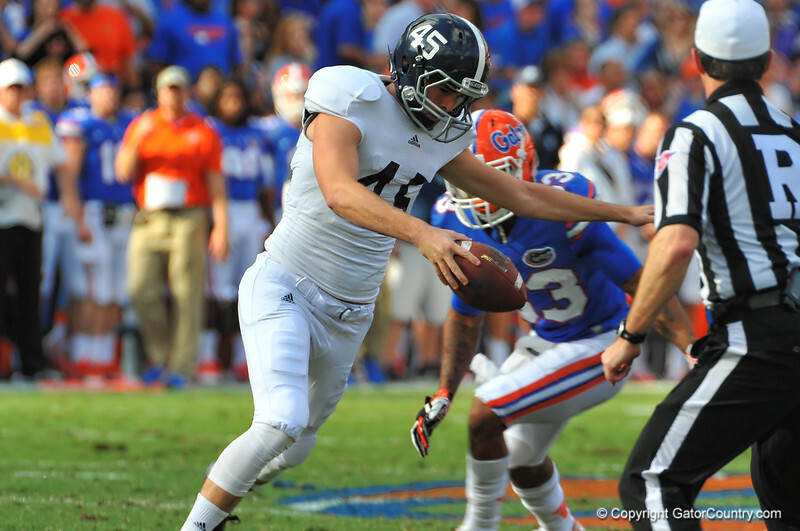 Georgia Southern punter Luke Cherry tries to get off the punt after a bad snap but Gator WR Solomon Patton is able to tackle him and create the turnover in the first quarter. Florida Gators vs Georgia Southern Eagles. November 23, 2013. Gainesville, FL.